Please take a few moments to view our wide range of hardwood floor services. Our refinishing and sanding services are an affordable way to rejuvenate your space without a full replacement. Whether you have a recently installed hardwood floors or plan to uncover a hidden beauty from 100 years ago, our comprehensive services will ensure that your hardwood floors or stairs look new again. 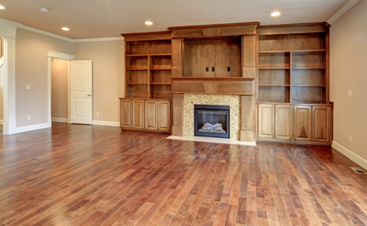 We utilize a dustless floor sanding process which significantly reduces the dust in the air. Dustless floor sanding is especially beneficial for those with allergies. Stain choice is followed up with three coats of finish. You have your choice of high quality water or oil base finishes, that with proper care will stand the test of time for years to come. Our robust hardwood floor installation service provides you with many options. This begins with your choice of flooring. 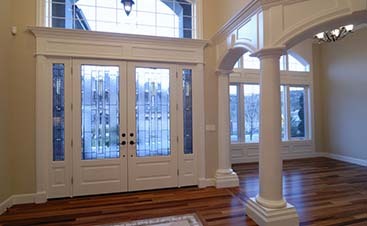 We install bare hardwood or pre-finished hardwood, engineered, and half-inch to three-quarter inch hardwood flooring. We also offer installation of glue down hardwood flooring on concrete slabs, borders, medallions, patterns, and flush mount vents. You don’t have to worry about all the prep work yourself. Carpet and/or particleboard can be removed by us prior to installation. Interested in seeing all types of finished hardwood flooring to find the perfect option? We can direct you to a showroom to help you decide exactly what kind of new hardwood floor you prefer. We only use the best products. Our high quality stains are fast drying and provide exceptional durability on hardwood floors. Choose any color or select a custom stain. Our restore services can breath new life into your existing hardwood floors. Our buff and recoat process can restore the glow of your floors and give them a refreshed look by lightly sanding and cleaning them. We then finish this with a fresh coat of high quality finish. 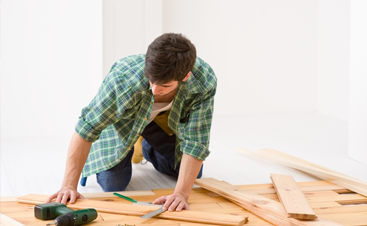 Our repair services can help you replace or repair broken floorboards. If you are in Harrisburg, Williamsport, Mount Carmel, or any of the surrounding areas, we would love to hear from you, so get your free quote today.